Handwriting evolves as a child develops fine motor skills. A child progresses from being able to isolate the index finger and thumb to grasp objects and food, to scribbling while holding a crayon in a fist, then eventually moving into a more mature grasp for writing. 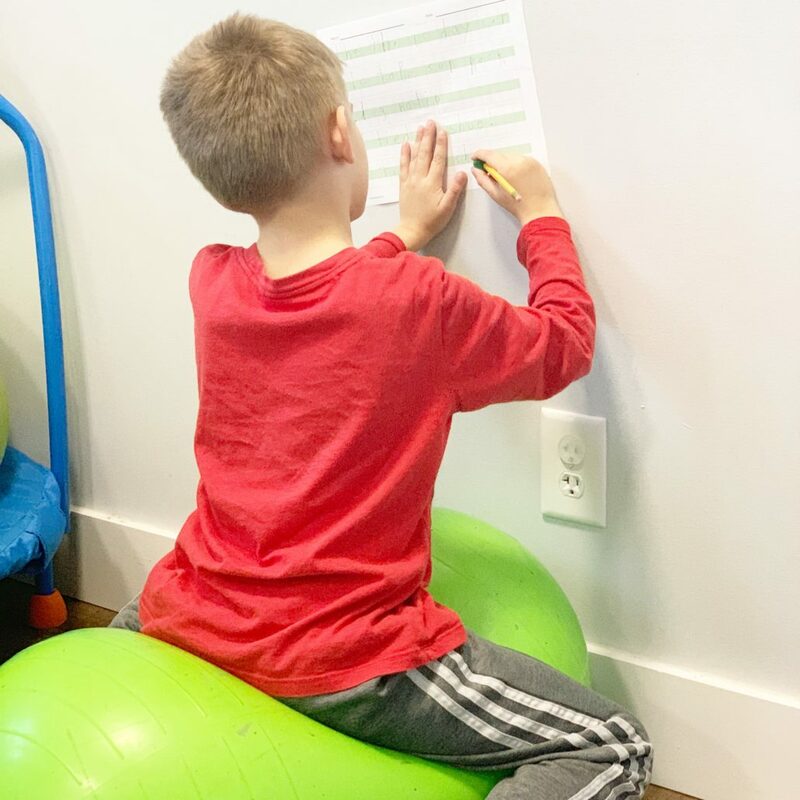 Handwriting difficulty can be a result of decreased core or fine motor strength, decreased coordination, and/or difficulty with visual motor planning. Tri-County Therapy utilizes the Handwriting Without Tears® treatment approach for some children. Handwriting Without Tears® aims to make legible and fluent handwriting a skill that children can master easily. HWT curriculum design, teaching strategies, and compelling lessons make it easy for children to learn in only minutes per day. Strategies for effective teaching are clear and simple to follow. There are also tips for helping children overcome specific handwriting difficulties. For preschoolers, the Get Set for School curriculum teaches crayon grip, coloring and drawing skills, and overall handwriting readiness.